You may provide information about yourself when filling out the contact form on this website, and by communicating with me via e-mail, phone, or text messaging. The information you provide will be your name, e-mail and telephone number as a minimum requirement for initial enquiry. Personal information I will seek to collect. How Your Data Will Be Stored. E-mail: Your e-mail address and any correspondence made via e-mail will be stored within my e-mail account, which is hosted by GMail. All e-mail correspondence will be deleted at the end of our therapeutic or supervisory relationship. Smart Phone: Should you choose to communicate with me via a telephone call, your telephone number will be stored within the 'Contacts' application of that phone. Your telephone number will be deleted from the device at the end of our therapeutic or supervisory relationship. Text messaging/WhatsApp: Should you choose to communicate with me via text messaging or WhatsApp, your telephone number will be saved within the corresponding application. Text messaging or WhatsApp correspondence will be deleted at the end of our therapeutic or supervisory relationship. Website: Information is collected by this website when you fill out the contact form, but no information is stored on this website. This website utilises SSL which ensures your privacy when sending your personal information via the contact form. Your contact details, contracting form and session summaries will be stored electronically, in a password protected Word document. This document will be stored within a laptop to which only I have the password. At regular intervals, this information will be backed-up to an encrypted USB storage device, which will be stored in a locked safe, to which only I know the combination. I am required to keep these records for seven years, in line with my legal and insurance obligations. For children and young people, this extends to seven years after they have turned 18. How Your Personal Information May Be Shared/Processed. 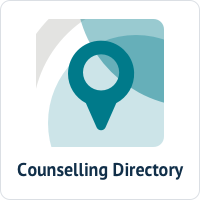 Every month I will attend supervision with a suitably qualified counselling professional. The purpose of supervision is to ensure that I am working safely, effectively and within the guidelines of my governing body. During my supervision sessions, you will be referred to by first name only, and will not be identifiable. My supervisor will hold none of your personally identifying information. You can read more about the BACP's guidelines for supervision here. If I feel that you may be at risk of harm I may - with your consent - contact an appropriate professional to support you (for example, your GP or a local mental health service). If I have reason to believe that you may be at risk of immediate harm to yourself or to another person, or if you have disclosed your intention to commit a major crime (for example, terrorism or money laundering), it is my legal obligation to inform the relevant authorities, and I can do so without your consent or knowledge. Your name and contact details will be shared with my therapeutic executor. This is so that, in the event of my death or incapacitation whilst we are still working together, you will be contacted to be informed of this and signposted to relevant alternative services. *In order to proceed with a counselling or supervisory relationship, you will need to agree to to the terms of this policy.